Update: On Friday, we told readers that Amazon stock (Nasdaq: AMZN) could see a pullback when Alibaba (NYSE: BABA) goes public this week. Indeed, on Monday, AMZN stock fell 2.2% to $323.89 a share. And on Tuesday morning, shares were down another 1% pre-market. You see, some tech investors will want to own a piece of Alibaba's profitability, and could swap their AMZN shares for BABA stock. 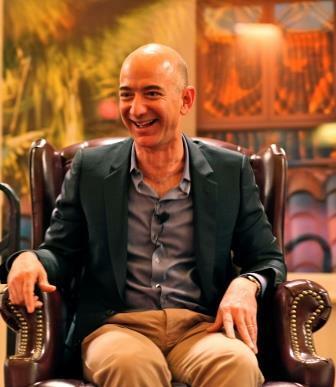 Or, they're under the misconception that BABA will be competing with – and beating – Amazon. But Alibaba's debut doesn't mean the end of Amazon's stock potential because these companies offer investors two different opportunities. While both giants dominate the two biggest e-commerce markets in the world (the United States and Asia, respectively), they do so in very different ways. "On a basic level, Alibaba shouldn't pose any real challenge to Amazon right now because the two have very different cultures, very different markets, and very different approaches," Money Morning Defense & Tech Specialist Michael A. Robinson said. Alibaba's in the business of providing an online marketplace for businesses and consumers, similar to eBay (Nasdaq: EBAY). That's why it's no surprise that e-commerce accounts for most of Alibaba's business. In 2013, 84% of the company's revenue came from online shopping. Its two most popular sites, TaoBao and Tmall, are BABA's biggest revenue generators. Last year, TaoBao handled $177 billion in transactions, while Tmall handled $70 billion. But TaoBao and Tmall are just a two of Alibaba's e-commerce sites. 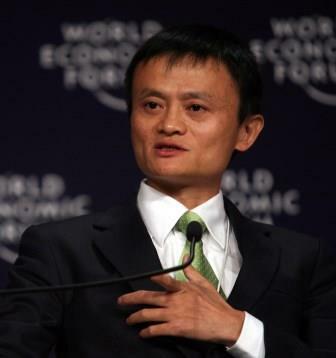 Alibaba.com bills itself as the world's largest online business-to-business trading platform for small businesses. The company also operates a "limited-time only" discount site called Juhuasuan, a comparison shopping site named eTao, and a U.S. online boutique shop called 11 Main. In contrast, Amazon operates as an online shopping marketplace, but a large part of its business is selling merchandise that it owns to customers. Amazon has warehouses and a delivery network from which it sells its inventory. And AMZN's inventory consists of its own set top box (Amazon Fire), smartphone (Amazon Fire Phone), and eBook reader (Kindle). The company also offers a grocery delivery (Amazon Pantry), an e-book subscription service, a music streaming service, and a visual media streaming service with original, Amazon-produced content. Where Alibaba makes money from charging 0.5-1.5% in transaction fees for every dollar sold on its platform, Amazon doesn't count its platform sales toward its revenue. Think of its business model as more akin to a traditional retailer.